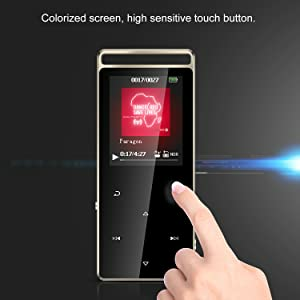 High Sensitivity Touch Button; Independent Locking and Voice Recording Key; Metal shell makes this mp3 player a unique touching sense and not easy to slide. 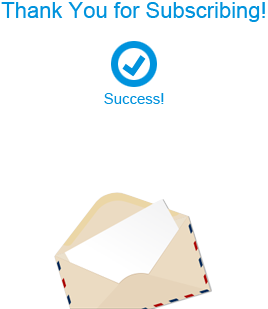 HIFI Lossless Sound Quality: Support Audio Formats: Mp3/ WMA/ OGG/ APE/ FLAC/ WAV/ AAC-LC/ ACELP. 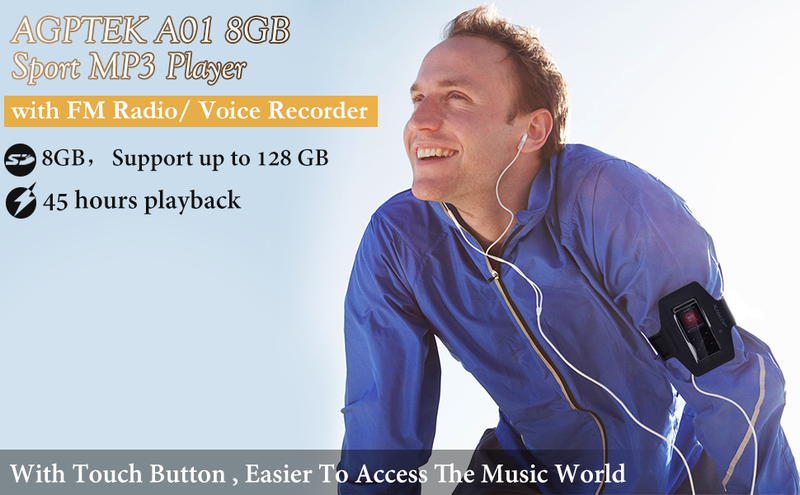 AGPTEK A01B 8GB mp3 player is a slim and sleek mp3 player with touch button and 1.8inch TFT screen. 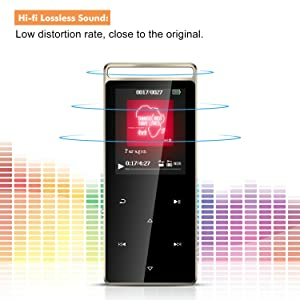 Hi-Fi sound quality and metal shell provides you excellent user experience. 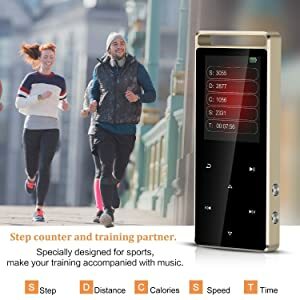 Additional function like pedometer helps you record your training in detail. Video : support AMV format (need to be converted into 160 * 128 size format). 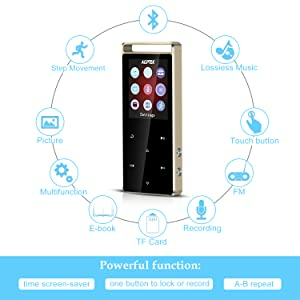 Support E-Book reading(support txt format only),FM radio, voice recording, ect. providing you with nice hand feel. 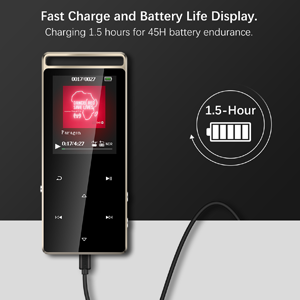 1.8” Color TFT screen delivers clear and colorful images with low power consumption. 1.8-Inch TFT Screen. Mini Size: 3.5 x 1.57 x 0.4 in. enjoy your sports in any way you like.